Is there a tension between the normative fundamentals and strategic objectives of European Neighbourhood Policy (ENP)? Is 'values versus security' an unavoidable choice to be made by the EU and its neighbours or, rather, a false dichotomy? The book argues that what is often considered a fundamental dilemma of EU foreign policy - a choice between the EU's values and its quest for security - misrepresents a much more complex reality in which values and security interplay to shape the EU's external positions. 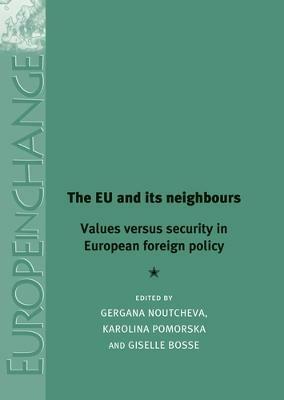 The book proposes an original conceptual framework for examining the complex interaction between values and security and situates the ENP in the broader conceptual debate about European Foreign Policy. In this way, it goes beyond the early scholarship on ENP, mainly inspired by the EU enlargement literature. The book examines the EU's evolving relations with its immediate neighbours in areas such as democracy promotion, Common Foreign and Security Policy, conflict management and resolution and soft security issues such as energy or immigration policy. By covering the whole range of EU external relations policies, the contributions to the volume provide a very unique opportunity to compare the complex interplay between values and security and its impacts across the wide policy spectrum of ENP.